Pathological complete response (pCR) to neoadjuvant treatment correlates with outcome in breast cancer. We determined whether characteristics of neoadjuvant therapy are associated with pCR. We used multi-level models, which accounted for heterogeneity in pCR across trials and trial arms, to analyze individual patient data from 3332 women included in 7 German neoadjuvant trials with uniform protocols. PCR was associated with an increase in number of chemotherapy cycles (odds ratio [OR] 1.2 for every two additional cycles; P = 0.009), with higher cumulative anthracycline doses (OR 1.6; P = 0.002), higher cumulative taxane doses (OR 1.6; P = 0.009), and with capecitabine containing regimens (OR 1.62; P = 0.022). Association of pCR with increase in number of cycles appeared more pronounced in hormone receptor (HR)-positive tumors (OR 1.35) than in HR-negative tumors (OR 1.04; P for interaction = 0.046). Effect of anthracycline dose was particularly pronounced in HER2-negative tumors (OR 1.61), compared to HER2-positive tumors (OR 0.83; P for interaction = 0.14). Simultaneous trastuzumab treatment in HER2-positive tumors increased odds of pCR 3.2-fold (P < 0.001). No association of pCR and number of trastuzumab cycles was found (OR 1.20, P = 0.39). Dosing characteristics appear important for successful treatment of breast cancer. Longer treatment, higher cumulative doses of anthracyclines and taxanes, and the addition of capecitabine and trastuzumab are associated with better response. 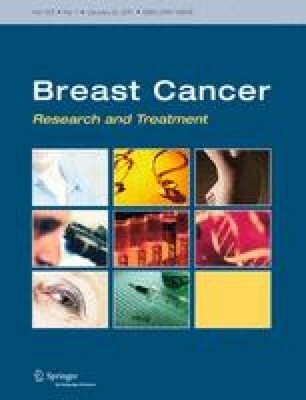 Tailoring according to breast cancer phenotype might be possible: longer treatment in HR-positive tumors, higher cumulative anthracycline doses for HER2-negative tumors, shorter treatment at higher cumulative doses for triple-negative tumors, and limited number of preoperative trastuzumab cycles in HER2-positive tumors. The online version of this article (doi: 10.1007/s10549-010-1228-x) contains supplementary material, which is available to authorized users. This study is conducted on behalf of the German Breast Group and AGO-B study group. The pooled analysis was supported by Clinical Trials Unit (CTU) and University of Bern. The conduct of trials was supported by Amgen, Bristol Meyers Squibb, Roche, and Sanofi-Aventis, Germany by providing unrestricted grants and trial medication.